This has got to be the dumbest ad we've seen in a long time. While it's a forgone conclusion the iPhone is coming to Verizon, it seems Verizon couldn't wait to tout its upcoming relationship with Apple. No. They had to go create a stupid commercial. And use the iPad to do so. Why is the commercial stupid? Because it's trying to scream, "The iPad. Now on Verizon!" Well, the iPad is not on Verizon. Not in this commercial. It's on Verizon Wireless. Which is the same is any other kind of wireless. Wireless is wireless. It's not 3G. 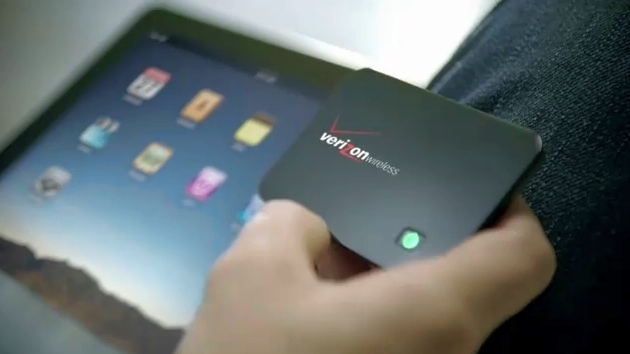 The iPad is not on 3G in this commercial. Now if they're arguing that the wireless device in this commercial is connected to to the internet via a a wireless 3G wireless connection verus a wired router, that's another story. Either way, the argument is not very clear.